United States of America, despite its current greatness, have a long and ugly history of racism and ethnic discrimination. You only need to type that phrase on google and you’ll find this. And last year’s presidential campaign trail has given a rise to bigotry, thanks to a Presidential candidate who normalized racism, sexism, and even xenophobia. A candidate that has since became America’s 45th President. 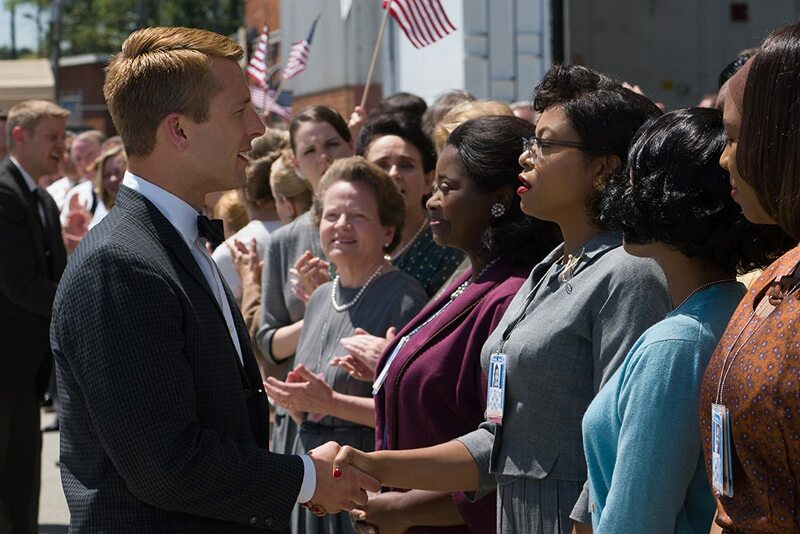 So amidst the increasing power of racism, Hidden Figures feels like a refreshing Indian Summer. One that we could benefit to learn from, considering our current situation here in Indonesia. One would need to be blind to not see how racially and religiously charged the current Jakarta’s governor election race is. And how the buzz and hype surrounding it had emboldened people and allowed bigotry to haunts our nation. 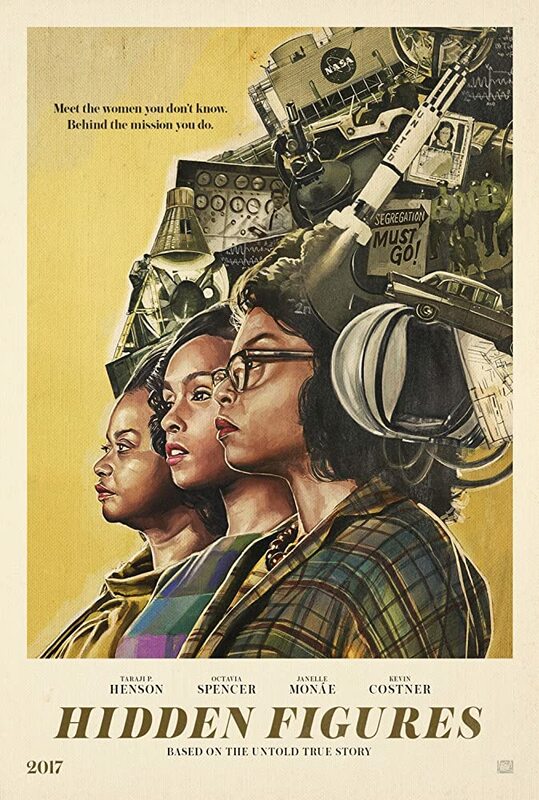 This is the story of three African-American women in the West Area Computers division of NASA, back when segregation is still the way of things: Katherine Goble Johnson (Taraji P. Henson) who worked as a “computer” in Al Harrison’s (Kevin Costner) Space Task Group, Mary Jackson (Janelle Monae) who aspires to be an engineer in the time when female engineer is a rarity, Dorothy Vaughan (Octavia Spencer) who fought her way up the ladder despite being stunted by inherent racism against her race and skin color. Movies are often political, and though it seems like an odd pairing, it’s a combination that has endured and thrived for so long. Even Indonesian cinema has its share of movies about known political figure, political thriller that poked fun on the country’s political climate, and movies that ventured to a used-to-be-taboo political regime. Hidden Figure is one of those political movies. Yet, what I like the most about this movie is how it gave a feel good cinematic experience while simultaneously send poignant messages about fighting for equality against bigotry. It spoke clearly about the issues without being too loud, and so the story wasn’t overpowered. Story wise, Theodore Melfi and Allison Schroeder relied on the tested and true formula of inspiration stories. It wasn’t groundbreaking, and it wasn’t the type that overwhelmed me with emotions. It doesn’t have that one truly low point where all seems lost. But that’s why it was so pleasurable to watch. 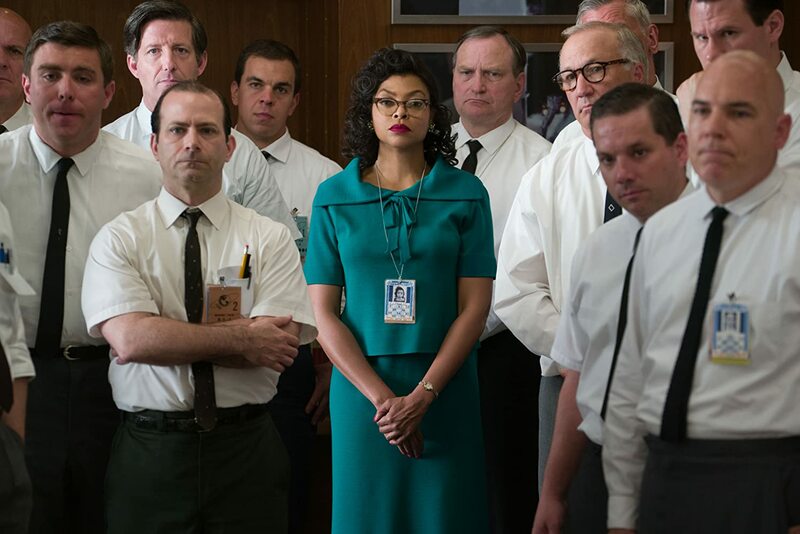 Under Theodore Melfi’s directing, Hidden Figures conveyed an uplifting attitude that it stood for. It’s a reminder that the world would never be able to knocked us all the way down, not as long as we still have the will to go on. It’s a positive and hopeful take on the fight for equal treatment regardless of one’s gender and race. Admittedly, Hidden Figures suffered from imbalance story telling because it focused too much on Katherine. Considering her works was integral to astronaut John Glenn’s successful launch and re-entry, her story indeed mattered the most. She was also the one that was most palpably discriminated. Surrounded by white men and white woman, she constantly battled their prejudiced and dismissive attitude because of her race and gender. It’s an apt depiction of colored women’s struggle at that time, and it gave her character proper emotional exploration. Which Taraji delivered wonderfully. She was timid, often aloof, but she hid such fire. And when she finally burst, it was glorious to watch. I’m pretty sure I won’t get bored of that certain moment despite repeat viewing because I love it so much. But spotlighting Katherine put Mary and Dorothy on the back burner. Mary, especially, was criminally under exposed. Her genius was barely accentuated, so did her struggle to be NASA’s first black female engineer. While it perhaps showed that she never struggled academically, it made her character felt detached and I wasn’t as proud as I’m supposed to be over her feats. Luckily, Janelle Monae was stellar as her. She portrayed Mary as an easygoing but outspoken and steely woman, one that I easily fell for. She stole my attention more than anyone else in this movie, honestly. However, the true pity is Dorothy’s story’s lack of prominence. Because her struggle was actually the most astonishing. She taught not only herself, but also others on West Area Computers, a whole new subject on computing and programming. Hers was truly a story about self made success, her fight against subtler-but-just-as-deadly discrimination from other women, and how she empowered others. And Octavia Spencer portrayed Dorothy’s restlessness, Dorothy’s strong will to fight and achiever tendencies in a way that made me sympathize with her. I didn’t like her per se, and I don’t think I’d be able to get along with her, but she’s the type I could look up to. 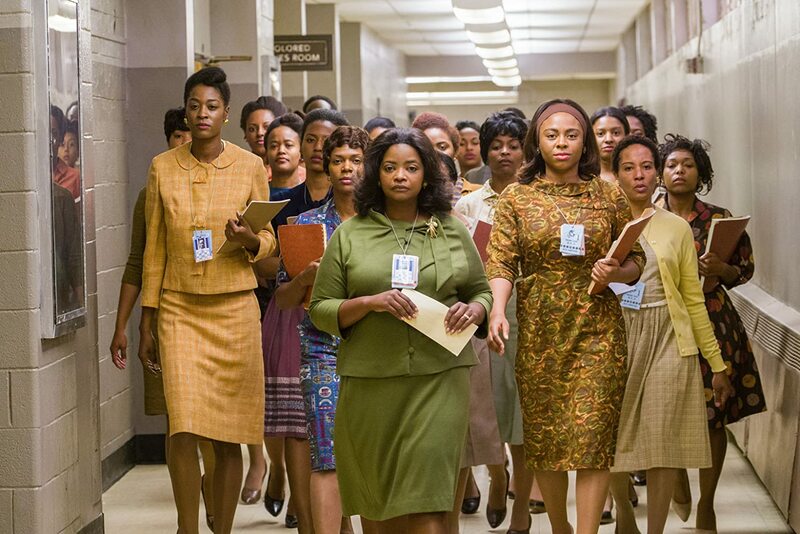 Aside from being a warm inspirational movie, though, Hidden Figures was also a sobering reminder about our current condition. Though it was set decades ago, truth of the matters is, we still face the same thing everyday. There probably are more than enough literature and reports about discrimination against black people in the US, even more so against black women. But here in Indonesia, ethnic, gender, and even religious discrimination is part of everyday life. One that people seems to be blinded to and take for granted because it’s the way things always are, or would justify using norms and religions. We heard and experienced discrimination everyday. It could be something as simple – but harmful – jokes at the expense of negative stereotypes against certain ethnic or tribe. Or ingrained sexism, starting from view on fixed gender-roles or harmful stigma against unmarried women, to sexual harassment with victim blaming society and partial law system. And of course, there’s the ever-growing religious discrimination. Not only forcefully silencing those with different faith, but also forcefully dispersing religious event and attacking churches. But just like the characters in this movie, it’s actually quite possible that we’re the one who commits and perpetuate discrimination. Perhaps we’re reluctant to fight against rules that do harm on us and choose to stay silence because we don’t want trouble.Or we’re as ignorant as Al Harrison about the unfair treatment that our colleagues faces. Or perhaps, we’re just like Vivian Mitchell, who thought that we have nothing against them but actually subtly discriminates them, making life harder for them and refuse to help them, under the guise of rules and norms. What we need to remember though, is that discrimination is actually taught through everyday life. Just like what Albert Bandura’s Social Learning Theory taught, we adopted discriminating behavior through observatory learning process. This learning process ingrained those thoughts in our mind, shaped our frameworks, and affected our behaviors. But that means we can unlearn discrimination. With open mind to question our values, we can change our understanding and fight against discrimination, one act at a time. There was a line in this movie that caught my heart: “Separate and equal are two different things. Just cause it’s the way, doesn’t make it right, understand?” That line not only captured the spirit of this movie, but sent a very strong message that questioned the way we think and behave. Just as the road to hell is paved with good intentions, at times it is our own complacency and ignorance that let injustice continues. It is our own reluctance to speak up or challenge the status quo that let bigotry run rampant as the norm. 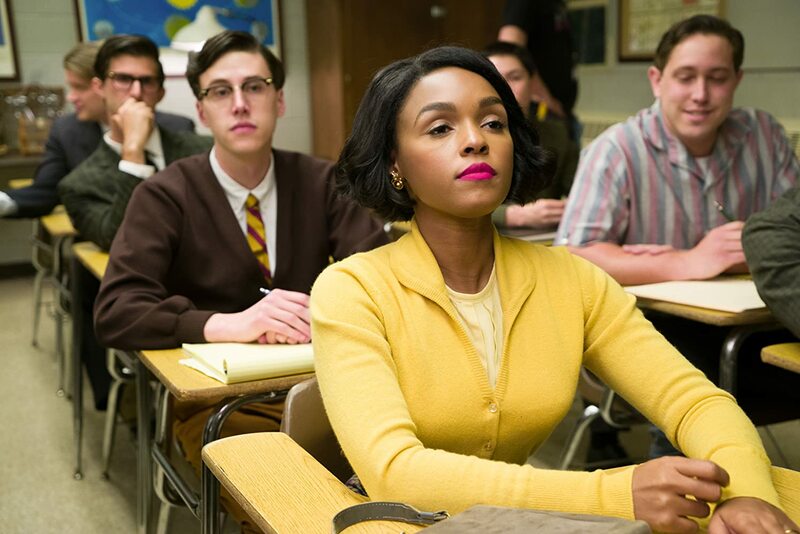 And Hidden Figures is a warm feel good movie that reminds us to take action and change that. Because it’s high time we stop shouting and complaining for a better world, but also change our inherent discrimination. It’s time we truly apply values of equality in our daily life and change others’ mind through our feats, not empty words we screamed. Director: Theodore Melfi. Writers: Theodore Melfi & Allison Schroeder. Released on: 25 December 2016 (USA). Casts: Taraji P. Henson, Janelle Monae, Octavia Spencer, Kevin Costner, Kirsten Dunst, Jim Parsons, Mahershala Ali.